The holidays get busy, and fast. Giving handmade gifts is an easy way to slow down and put meaning into the season. 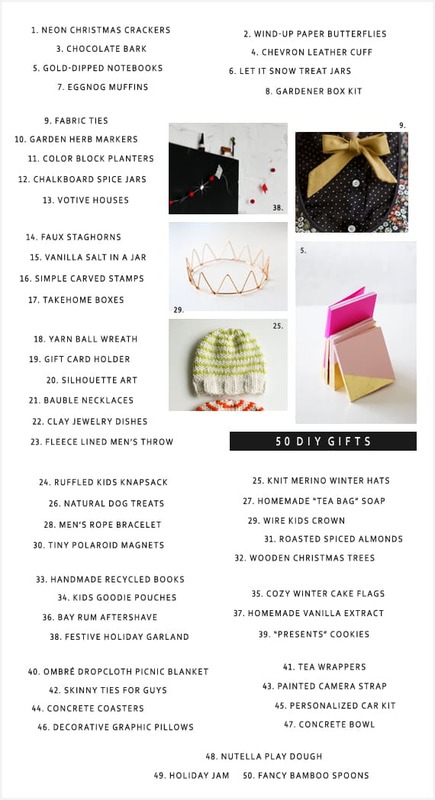 Here is list of 50 favorite gifts that are simple to make and pretty to give, for anyone on your list. What a great resource! Looking through them all & I think I see a few things that are perfect! Amy, glad to hear that:) I was hoping there’s be a few perfect things for everyone. Happy crafting! Bless your heart for this perfect post! !